EN 61099 ed. 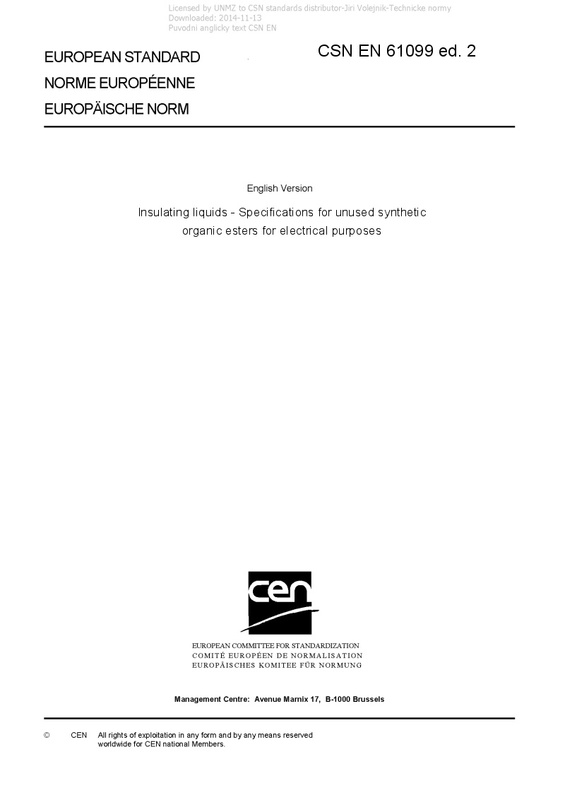 2 Insulating liquids - Specifications for unused synthetic organic esters for electrical purposes - IEC 61099:2010 covers the specification and test methods for unused synthetic organic esters. It applies to synthetic organic esters, delivered to the agreed point and time of delivery intended, for use in transformers, switchgear and similar related equipment in which synthetic organic esters are required as an insulant and for heat transfer. The main changes of this new edition with respect to the previous one relate to the aim of giving a more updated specification of synthetic organic esters when used as insulating liquids.